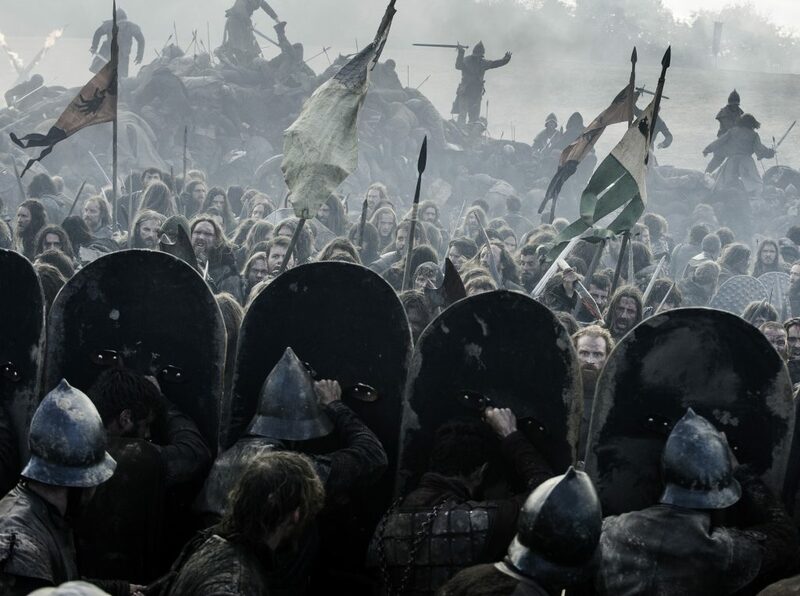 Tell us about your background as a VFX Associate Producer and what led you to Game of Thrones. I got my first job as a PA at VFX studio Pixomondo. I was there for a few years, working under my current boss Steve Kullback (visual effects producer on Game of Thrones). He took me with him when he moved to work on Yogi Bear, and then on Game of Thrones. I’ve been with the show since 2011, so this is my sixth year on board. It’s become a real family at this point, since lots of people have been on since the pilot. From shooting to post, what is your role working on Game of Thrones? As the VFX Associate Producer, in pre-production mode I assist with organizing our previs and concept work; help run and manage our VFX database; and schedule reviews with producers, directors, and HODs. During production I make sure everyone has what they need on set to shoot for the various VFX requirements. Also during production, we start to post the show – I’m in charge of running review sessions with our VFX Supervisor Joe Bauer. I make sure that all of his notes get across to the vendors and that the vendors have everything they need to put the shots together. Season seven has actually been the longest we’ve stayed on set before going back to LA for post-production. When in Belfast it’s all about managing the pre-production and production process, making sure everything gets done correctly to make the later VFX adjustments as streamlined as possible. We’ll have vendors all over the world working on that next step; from Australia, to Spain, to Vancouver, Montreal, LA, Dublin and beyond. We like to say that the sun never sets on Game of Thrones. What’s the process for bringing new vendors onto the show? They could be vendors that we’ve worked with in the past. Other times, we employ vendors that come recommended by other people. We check out industry reels and have studios do testing for us. For example, when we have dragon work we ask around for vendors willing to run dragon animation tests for us. A lot of it is word of mouth. In VFX, you work with the people that you know will do great work. What’s your biggest challenge in creating Game of Thrones? We’re doing such complex work that we need to use multiple vendors. This can be a big hurdle. In general, whether it be film or TV, when you have multiple vendors working on the same shot, it becomes a potential issue. Linking in with cineSync helps. We can have a vendor in Australia and a vendor in Los Angeles both working on the same shot, at exactly the same time. I first started using cineSync while at Pixomondo and found it makes the revision process a lot quicker. We send notes out to vendors, but most of the time it’s easier to get on cineSync, see the same image, and draw on it. Even the simple move of hovering a cursor over the frame can answer a million questions. We have several vendors who don’t use English as their first language, such as those in Spain. In these cases, communication is a lot easier via cineSync. By pointing to a single portion of a single frame, we completely bypass the language barrier. It definitely helps to see an image on screen versus just explaining it. What is your favourite part of the cineSync toolkit? We’ve seen a lot of cool updates to cineSync. Specifically, I like the notes section, where you can export a PDF to include whichever frame that note is attributed to. Honestly, just seeing a cursor move on-screen from someone else’s computer is huge. It makes things so much easier to just point and click. If we’re talking to someone on the phone, trying to tell them about an issue in the upper left hand corner, it’s going to be hard to get our meaning across. cineSync takes away all of the guesswork. Besides post-production, we also heavily use cineSync for shoot needs. We shoot the show in Northern Ireland, Iceland, Croatia, Spain, and Calgary. With cineSync, we are able to review storyboards, previs, techvis, and concepts with the producers, directors, HODs and others, wherever they are in the world. It’s crucial that everyone is on the same page; being able to look at the same material together helps everyone get what they want from a day on set. Is there a specific shot, effect or episode you’re particularly proud of? 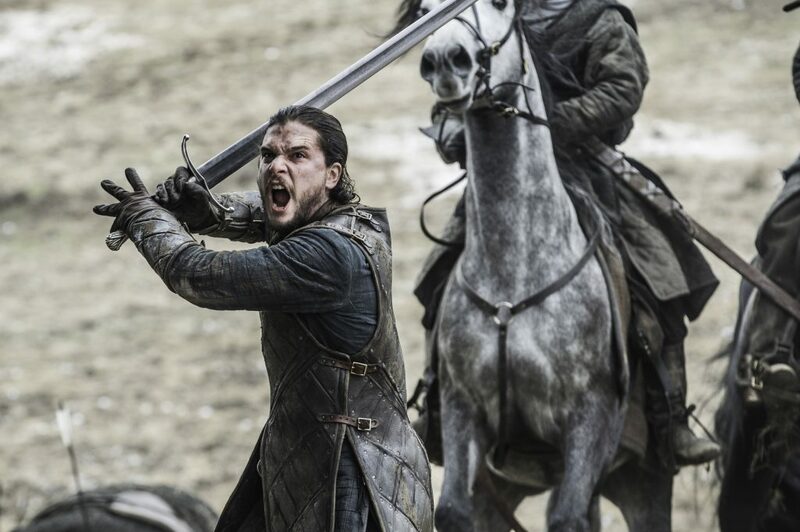 The Battle of the Bastards – it was a huge episode. Particularly the first half of the episode, when Daenerys came in with her dragons at the battle of Meereen, showing those slavers who’s boss. Meereen city itself was a large CG creation, which was unusual for Game of Thrones. We usually try to stay away from fully CG environments and like to get as much in camera as possible. For example, when the dragon breathes fire, that was an actual flame thrower we shot. 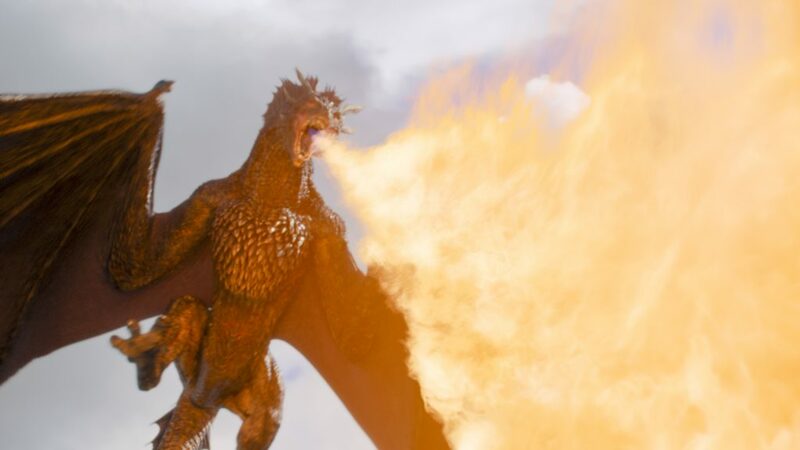 Back in season 5, we started to pre-animate the dragon, translate it to a motion control rig, and attach a flamethrower to it. It moves exactly how the dragon would move, giving us a practical element to use in the shot. CG fire can be done but it’s really tricky. Real is real, so you can’t question it. With multiple vendors working on the sequence, we had Rodeo FX do the environment while Rhythm and Hues did the dragons. We used cineSync a lot, reviewing shots between both vendors in order to point out areas of concern. 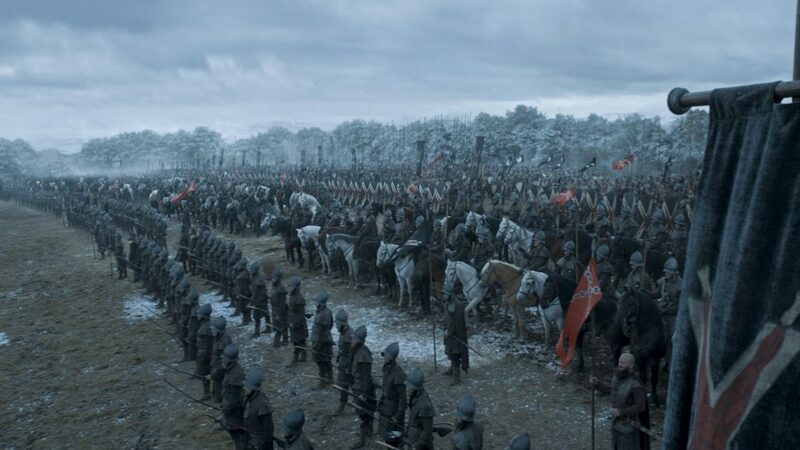 Then in the second half of the episode, which was the actual Battle of the Bastards, the work was brilliantly done by Australian VFX studio Iloura. With the timezones being so different, cineSync helped make use of the short time when both our teams were awake!